“The rural family needs to regain its rightful place at the heart of the social order.” Why? I’ve been pondering these insistent words written by Pope Benedict XVI in 2006 since I first read them several years ago. Why is it so important that the rural family return to its proper place, situated at the very center of our social order? It was with this question in mind that I listened attentively to the discussions surrounding rural America at several conferences I recently attended. Rural healthcare is increasingly important as populations age and small communities grapple with mental health and suicide. Moreover, agriculture as a viable vocation at times seems in doubt. What should we as Catholics think or do? The proper starting point is to understand why rural families matter. For Pope Benedict, “The moral principles and values which govern [rural families] belong to the heritage of humanity…. They are concerned with individual conduct, relations between husband and wife and between generations, and the sense of family solidarity.” In other words, rural families don’t just grow our food, they excel in “growing” those values that undergird our entire society, such as personal responsibility, fruitful married love as the building block of society, and solidarity across generations. What’s to be done? I offer two thoughts. First, as citizens, we have to take very seriously some of the immediate and urgent concerns affecting rural areas, suicide chief among them. As Bishop Gruss noted in a recent editorial, “rural areas suffer significantly higher [suicide] rates than urban areas.” In advance of the 2019 legislative session, state lawmakers are likely to study access to mental health services, a step we may view positively. This is an area in which we can speak and act as faithful citizens. Second, without neglecting the urgency of immediate crises, I also suggest that we can recover a compelling moral vision of agriculture as a God-given vocation. To this end, The Vocation of the Agricultural Leader, a short booklet published by Catholic Rural Life, may have insights for South Dakota. “At its core, the commitment to agriculture is a vocation given by God, a unique and privileged way of life. Indeed, of all the occupations undertaken by men and women, the task of ‘cultivating and keeping the earth’ (Gn 2:15)—farming and ranching—reaches to the depths of our relationships with God the Creator, with creation and with all of humanity.” That document points out that farming and ranching as a way of life “precede the trauma of original sin,” and for that reason can give all of us deeper insight into “the place of the human person within the broader order of creation.” You can find The Vocation of the Agricultural Leader at CRL’s website. What exactly does such a moral vision for agriculture look like? I’m not sure exactly. I’m not so blessed as to have been given that vocation. 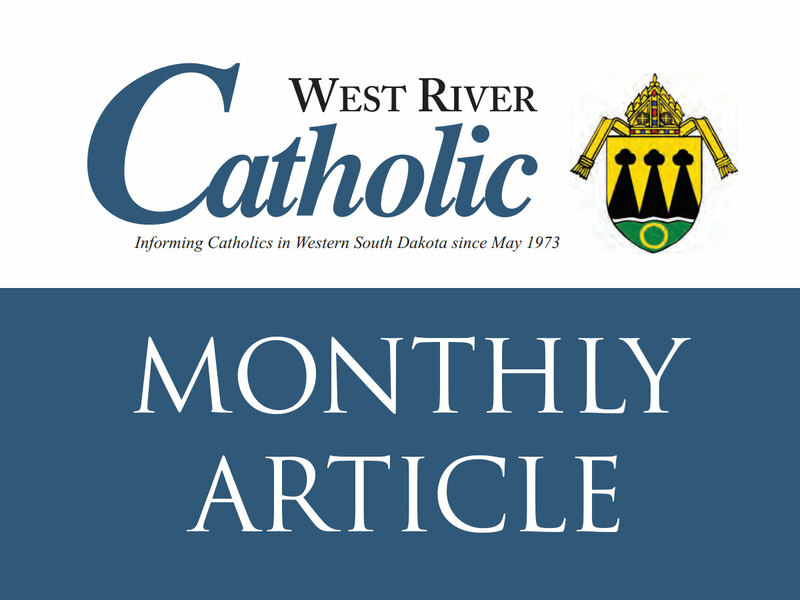 But I know this: the answer is tremendously important, and I have confident hope that within the Catholic Church in South Dakota, the Lord has called and gifted some who might articulate and fully live the answer.